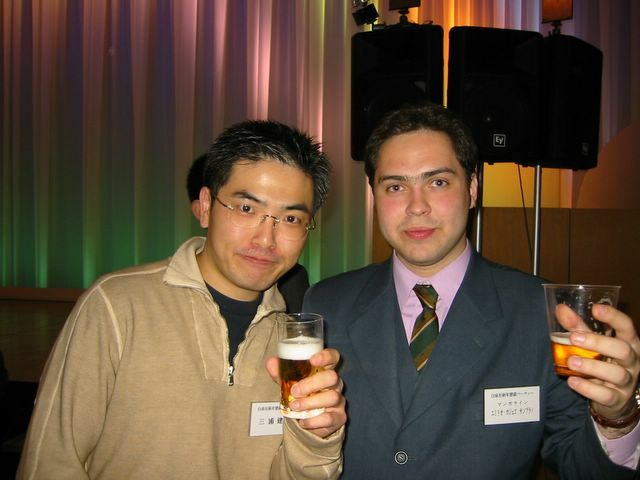 Does anyone have more information about Miura? Does anyone have more information regarding Kentaro Miura? All I've seen are 2 or 3 black and white pictures of him, and if I am correct, that he graduated in fine arts, but I'm not sure. And that he also have made 2 or 3 mangas in the past, like Miuranger, and Noa. Does he have hobbies? I know in the past it emerged that he liked playing Idol Master, but where did this information come from? I think it is quite clear that he likes RPGs tho, and that he must read a lot, old masters like Shakespeare and such. But is he married? Does he have kids? Where does he live? Can he live only from the ($$$) income of Berserk? There is a significant amount of information available on our website about Miura. There's a bunch more that either haven't been translated or haven't been accurately translated and that I'm therefore not going to link to. As you can see though, it's not like there's a dearth of information about him. All I've seen are 2 or 3 black and white pictures of him, and if I am correct, that he graduated in fine arts, but I'm not sure. 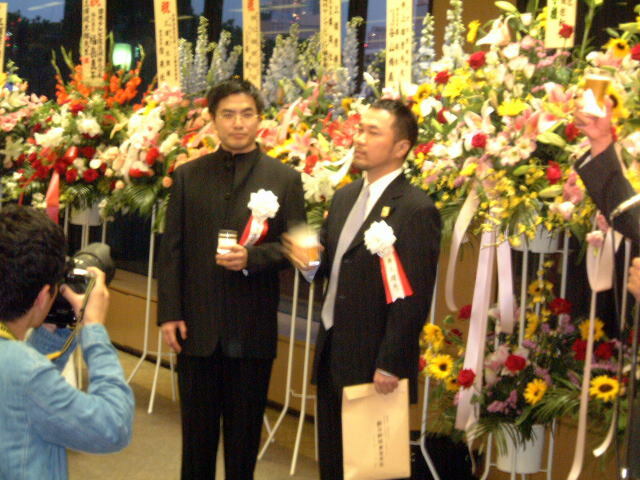 Some more were taken when he was awarded the Osamu Tezuka Cultural Award in 2002. And that he also have made 2 or 3 mangas in the past, like Miuranger, and Noa. "Miuranger" is just something he did as a kid, it wasn't published. He did two short stories who won prizes and were published in magazines: Futatabi and NOA. He's also collaborated with writer Buronson on three one shots that can be purchased as tankōbons: Oh-roh (Wolf King), Oh-roh den (Legend of the Wolf King), and Japan. Aside from that he's released another one shot in recent years called Gigantomakhia. Sure he's got hobbies like everyone else. Movies, video games, books, TV series... To know more about them I suggest reading his comments in Young Animal. As for the game Idolmaster, he's made a couple comments about it around 10 years ago and some folks got carried away with it. There's not much to it. I wrote an explainer about this in 2009 that I recommend you. Nothing's changed about it since then. But is he married? Does he have kids? He is not married nor has kids as far as we know. Can he live only from the ($$$) income of Berserk? Thank you very much! I never knew of the existence of those, and I follow Berserk since 1997. Guess I'm just a slacking fan . 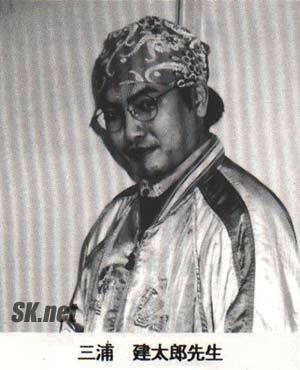 Miura is basically my idol, and I am very happy to read those information. I am new to this site (somewhat) and I'll search for those interviews and comments he made right away. I really liked the pictures. Thank you very much for sharing them. I had never seen any of those 2. I did see the one of the Osamu Tezuka Award but the quality was very bad, so I could not identify his face. The last one is much clearer. Ah, I had imagined that people got too carried away with the Idol Master thing. This is something that I kind of dislike on the internet nowadays. They grab whatever random piece of information and begin to flood the internet with memes or fake news regarding that. Probably teenagers with their bad sense of humor. I am new to this site (somewhat) and I'll search for those interviews and comments he made right away. The bolded parts in my post are links, so you don't have to search. This is something that I kind of dislike on the internet nowadays. They grab whatever random piece of information and begin to flood the internet with memes or fake news regarding that. Probably teenagers with their bad sense of humor.